Dr. Clay Cockerell, an internationally recognized pioneer in the field of dermatology and the co-founder of CLn Skin Care, a line of products uniquely designed by physicians for skin prone to eczema, sensitivity, folliculitis, acne and other infections joins eHealth Radio and the Dermatology and Skin Care Channels. What inspired you and Dr. Anwar to create the company and line up of products? With the Ebola crisis, many want to know what is the best way to keep safe from a skin care standpoint? With serious MRSA risks confirmed in a study that has been publicized in the news, how can active people engaged in both contact and non-contact sports effectively protect themselves from infection? October is National Eczema Awareness Month. Tell us how you help to raise awareness for the incurable skin condition and how others can help. What are the most frustrating eczema symptoms people commonly suffer from and how can they be managed? 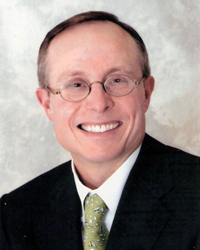 Dr. Clay J. Cockerell is a world-renowned specialist in the care and diagnosis of skin conditions. An internationally recognized pioneer in his field and a board certified Dermatologist and Dermatopathologist; he has been practicing medicine since 1986. He is a Clinical Professor of Dermatology and Pathology at the University of Texas Southwestern Medical Center and Director of the Division of Dermatopathology, where he has been responsible for training over 100 dermatopathology fellows and many more residents, medical students and fellow practicing physicians. He is the author of over 750 publications, including a number of books. Dr. Cockerell is also the founder and owner of his own practice, Cockerell Dermatopathology, a dermatopathology laboratory based in Dallas, Texas, which is one of the largest of its kind in the United States. This laboratory receives and processes specimens from virtually all states in the US as well as from a number of foreign countries. Dr. Cockerell has held numerous leadership positions in highly regarded medical associations and is a Past President of the American Academy of Dermatology, the Texas Dermatological Society, and the Dallas Dermatological Society among others. He has served on many editorial boards of medical journals as well as the boards of directors for a number of companies including Ameripath. He has also lectured extensively around the world and is the director of several educational seminars and conferences. 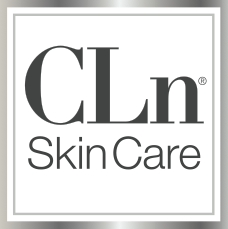 CLn Skin Care, a TopMD brand, is uniquely designed by physicians for skin prone to eczema, sensitivity, folliculitis, acne and other infections that trouble millions of adults and children. Preserved with sodium hypochlorite, CLn Skin Care offers the effectiveness of a bleach bath with the luxury of gentle skin and body cleansers and shampoos. The line features six products for the hair and skin: CLn® BodyWash, CLn® SportsWash, CLn® Facial Cleanser, CLn® Shampoo, CLn® Gentle Shampoo and CLn® Hand & Foot Wash. Designed by dermatologists, the non-drying formulas can be used on already compromised or sensitive skin, without causing further irritation or dryness. CLn Skin Care products also reduce the appearance of the redness and oftentimes “scaly” skin associated with eczema (Atopic dermatitis). CLn Skin Care is safe to use on children 6 months of age and older.